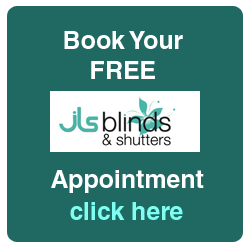 JLS Blinds Ltd look forward to receiving feedback on our services. The JLS blinds are always of excellent quality, are fitted perfectly and the cost very reasonable. I have used JLS Blinds many times and John's expert advice has always been invaluable.The recently fitted pleated floral blind is beautiful and the coordinating motorized blind is amazing. The service is first class, I would not consider going anywhere else for any future blinds. We are extremely pleased with the blinds fitted in our conservatory by JLS. We would highly recommend and use again JLS friendly and professional expertise. Thank you John at JLS for a great service! Very pleased with the professional standard and service provided by J L S, in fitting blinds to several windows. I can highly recommend and would use them again, in the future. Thank you for a great service fitting our shutters and blinds. Great customer service, competing price and prompt and professional fitting. Will definitely be recommending JLS and wouldn’t hesitate to use them in the future. Really happy with the blinds and shutters provided by JLS. They look fantastic. I am delighted with the service, they are a lovely company to deal with. I would use JLS again and would recommend them to family and friends. Had JLS fit an Assortment of blinds in my house the work was carried out by Steve with care and I would recommend JLS to my friends. Friendly and professional fitting of very nice blackout bedroom blinds. Really cut down on brightness in bedroom in the summer mornings. Had blinds fitted in my bedroom and was really pleased with the result. Steve was friendly, helpful and professional. Would definitely recommend. This company fitted ceiling blinds for us. They provided an exemplary service, and a quality product, of good value. They are friendly, professional, and reliable. Moreover, they went that extra mile, to ensure that we were entirely satisfied.